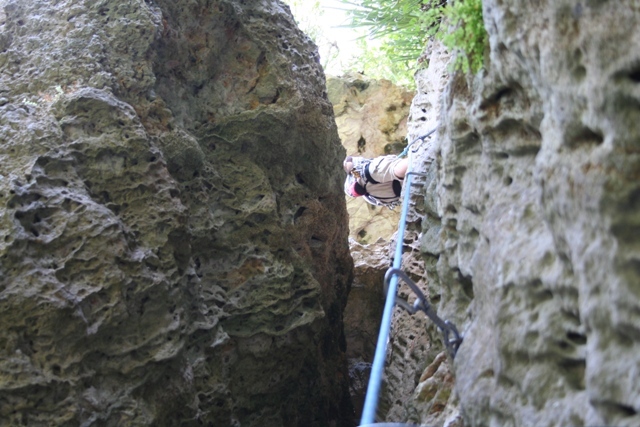 Due in part to its convenient location and ample selection of routes, the climbing crag known as Bayamón II has become one of the primary staples of rock climbing in Puerto Rico. This area lies minutes away from the capital city of San Juan in the Julio Enrique Monagas National Park and consists almost exclusively of sport routes (one or two routes take cam placements but they are not recommended.) The park has ample parking and entrance is free. This crag contains approximately 131 routes varying in ratings from 5.6 to about 5.13a and is divided into 13 sections. The section known as “La Escalera” is perfect for warming up, as it contains the largest selection of beginner routes in the park (the routes themselves oscillate between 5.7 and 5.9 with two 10a’s thrown in for good measure.) Amor, Paz and Guerra are three solid ascents in the area. Consisting primarily of moderate routes between 5.9 and 5.11 this section is perfect for training and getting the blood flowing. This area also has ample cover and stays dry in the rain, which is convenient considering that it is, after all, a tropical island. ¡Bienvenidos al mundo de la Escalada Borincana! ~ by Alberto Ramos Cordero on November 13, 2007. Great Post. It’s always nice to see some pics. Where is the best place to get a new rope? If your on the island check out Aventura Tierra Adentro or Acampa, both of which are on Pinero avenue in San Juan. If your willing to wait a bit longer http://www.gearexpress.com is a good choice and they have great deals. 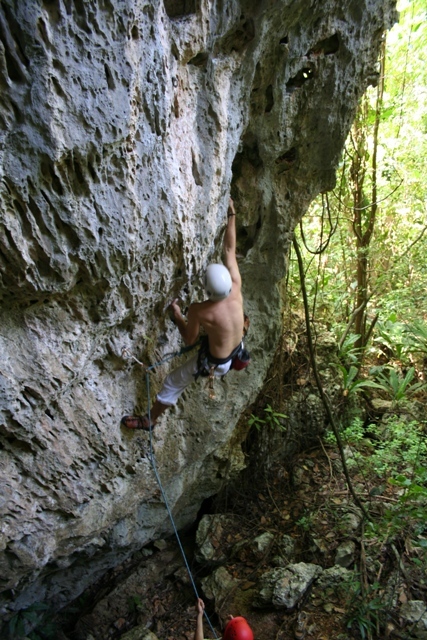 Aventuras Tierra Adentro has a draft of there climbing guide for Monagas-Bayamon II available at there store -for free! just google for – 100% pure muscles without side effects – worth a try?